"Seriously, there are carbon arrows that cheap?" I was asked. "They must be complete rubbish!" After buying some new 40lb limbs and realising I could do with some new arrows to match. I saw these on ebay £45 for a dozen available on eBay HERE, or £4.27 each including P&P. That's complete; nocks, points and vanes. That's extremely cheap! 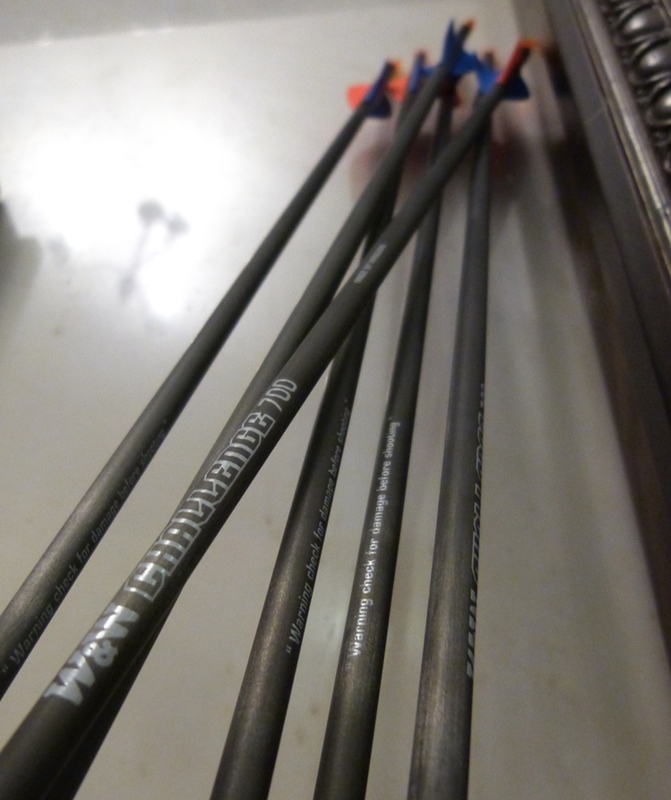 The arrows loose well, they feel light and fast, and very similar to other carbons. Following roughly 1000 arrows they have held up well. No breakages, despite the occasional miss, or stand hit. One point lost, so I'll glue them in in future, but other than that no issues. 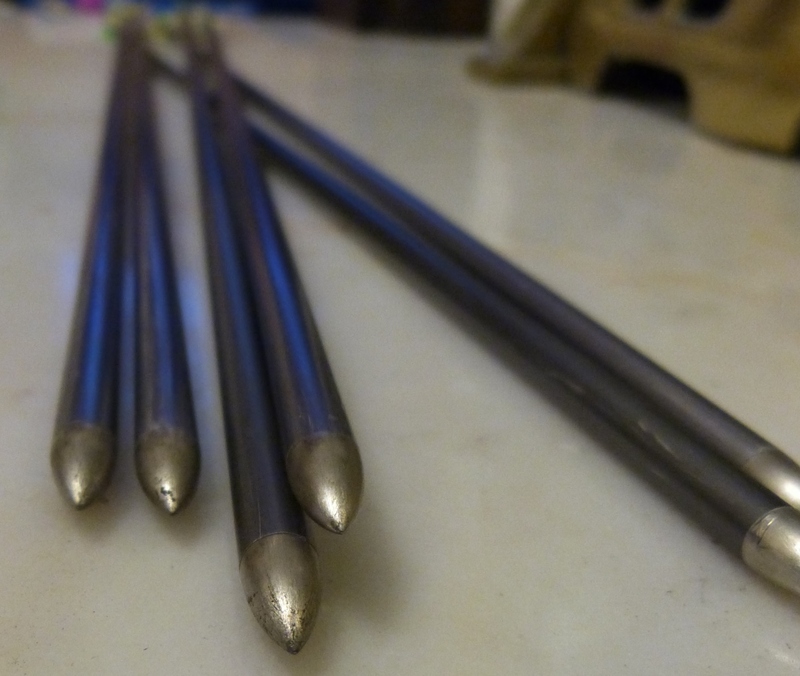 At £4.27 each, these Bemans cost the same as the W&W Challenge arrows, and are also carbon. But, these are Pultruded arrows, or so I am told. This refers to the way they are made, so the carbon fibers are pulled through a hole, and all point in one direction. It means they are more likely to shatter, and less durable. In contrast the Challenge arrows are wrapped carbon, three layers so more strength all round. Now because of the lack of strength, and the fact I would have to buy 12, so can't try just a couple, I have not tested these, though should I manage to find some I will be doing. 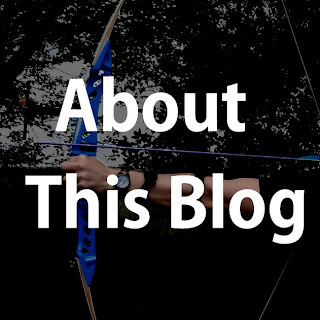 The mainstay of archery beginners courses across the country, they are cheap and very common. I must have shot thousands and thousands of these. they are good and fly well when straight, especially for the price, but they do damage easily, really easily. In comparison to the Challenge arrows they feel slow and heavy, but at this price, it really isn't an issue if you lose them, and I have been known to lose one or two, though I blame a freak lightning strike and not me missing the boss! The Gamegetters cost £5.52 available on eBay HERE each. They are tougher are more durable than the Easton Jazz. They feel nice, but the jump to the XX75s is not much, and the XX75s just seem that much better. Again, a step up from the Gamegetter arrows, the XX75s are another popular choice. At £6.21 each they are significantly more expensive than the Challenge arrows. Whilst they do feel nice, and are undoubtedly tougher than the Jazz or Gamegetters, with only 500 or so arrows loosed, I have had 4 casualties. 2 could be bent back to shape, and the other two are lost causes, and I have had to replace. I have been shooting in a very small home made (piled carpet pieces bound tightly together) target which is why I have missed so much. The target goes yellow, red, miss. So trying to tune your bow means missing is highly likely! Speaking very generally, Carbon arrows are thinner, lighter, faster, tougher but likely to splinter into a billion little pieces. Aluminium arrows are wider, heavier, slower, not as tough, but will only dent or bend when you miss the target and hit the stone wall behind it. There is a third option, the composite, a mixture of carbon and aluminium, but they are way more expensive. What do I mean by easy to damage? When (not if) you hit the stand and not the boss, this is what happens. Quite often an aluminium arrow will bend a bit.If the arrow has flown off and hit a stone then it's quite easy to bend it back, but if it's been an impact from hitting something hard straight on, this can be a bit harder and essentially write-off the arrow. Bent, and once bent arrows are annoying and likely to detract from your perfect scores. I was looking at these arrows and wasn't quite sure if I was going to buy them, so you were a great help! Glad to help. Do remember to check your points are firmly glued in before you shoot them, a dab of superglue will save you the impossible task of trying to locate a point in a boss!